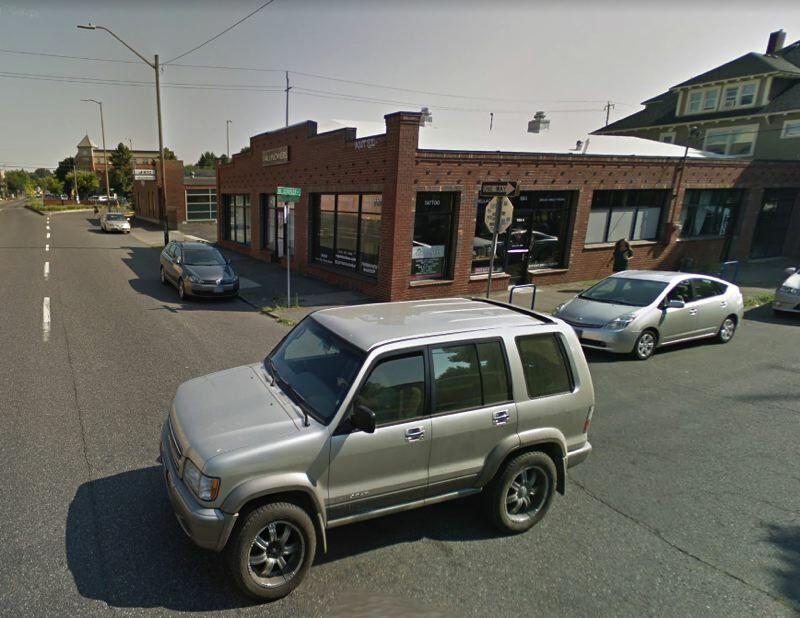 The victim was assaulted in the Eliot neighborhood on Sunday, Portland police say. The Portland Police Bureau is searching for two men who allegedly assaulted and robbed a pedestrian. North Precinct officers received reports of a robbery at the corner of Northeast Martin Luther King Junior Boulevard and Schuyler Street around 12:34 a.m. on Sunday, Oct. 7, according to a news release. Police found a man with an injury. He was transported to an area hospital by ambulance for treatment of a "serious" but non-life-threatening injury. Officers say the two suspects were traveling on bicycles. At one point in the altercation they allegedly hit the victim with what was described as either a hatchet or a hammer. A search of the neighborhood by authorities yielded no arrests. Police say the suspects are both skinny white men in their early 30s. Anyone with information about this incident is asked to call 503-823-0405.